Katie is offering this wonderful class on THREE different days: Saturday, April 16; Friday, April 29; and Saturday, April 30. 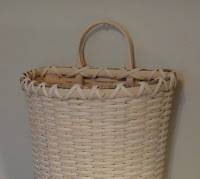 This gorgeous basket can be used as either a wall hanging basket or finished off into a purse. 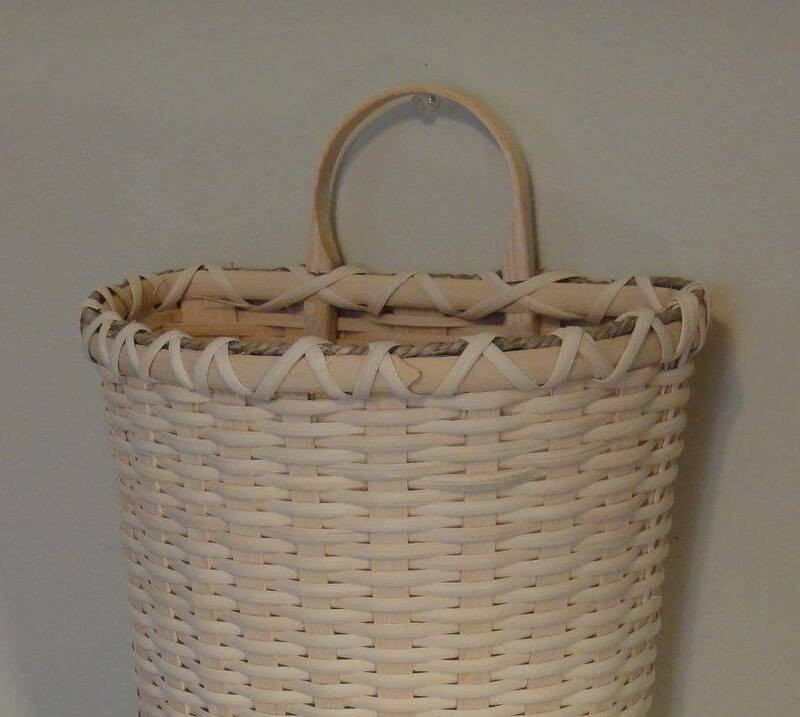 This generously sized basket is a bit challenging - featuring a "cathead" style, narrow base; split stakes; continuous weave; and "potbelly" shaping on the front. There is also an option to choose either a dipped front or a straight front, and to prepare the basket for a strap or bushel basket handle. 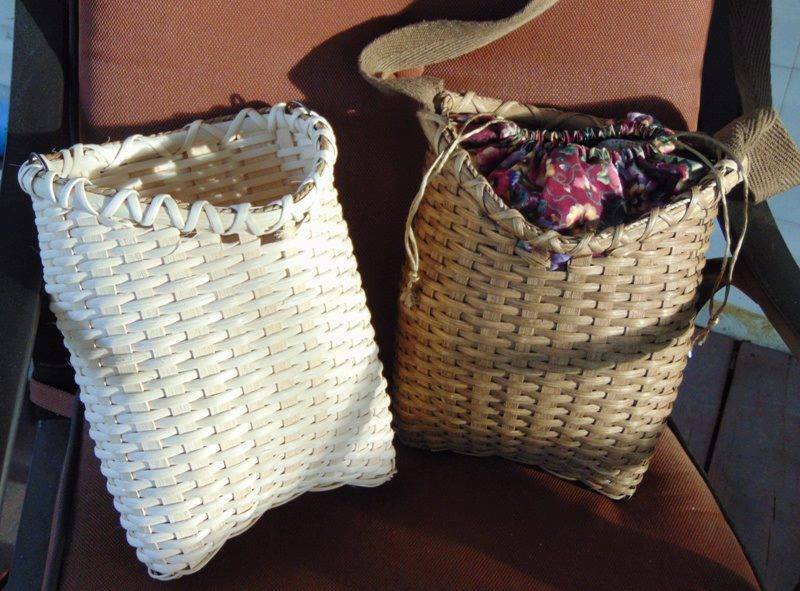 Unique to this class: If making the basket as a purse, please purchase and bring to class a length of strapping or woven belting in choice of color. The basket will be woven in a natural weed color, but the strap may be added before the rim is placed if the strap is available. The best material for the strap is "Shaker tape" or woven belting, found in the sewing section of a fabric store such as Joanns or in a Walmart that has a sewing department. Measure the length needed (use a favorite shoulder bag to find the right length!) and add about 4 - 6 inches to allow for the attachment of the strap. Cost of class is $60.00. The class fee includes all the materials needed (except optional strap), instruction and use of the instructor's tools. Class starts at 10:30am and goes until everyone is done - about 3:30pm - 4:00pm. Because of the challenging nature of this class, the class size is limited to 5 students and classes are expected to fill quickly. Another Crazy Cat and Bird Class -- Register Now!